The participants at the meeting held last week by the International Nickel Study Group (INSG) in Lisbon, Portugal has predicted significant growth in global Nickel production and consumption during 2015. According to INSG, the improved economic situation around the globe has led to increased consumption of Nickel during first half of the current year. The countries which reported significant consumption growth during the six-month period were China and North America. The conditions remained favorable for Nickel market in the European region and Japan. The Indonesian ban on ore exports has affected Chinese nickel pig iron production. The shortage of availability of nickel ore has adversely affected the functioning of large number of new facilities that became on stream during this period, thus resulting in reduced global production of Nickel. However, nickel ore exports from the Philippines continued to increase. INSG predicts marginal drop in world primary nickel production in 2014. The production is likely to to reach 1.93 Mt in 2014. It must be noted that the production during 2012 and 2013 were 1.75 Mt and 1.94 Mt respectively. However, the output is likely to record marginal growth in 2015 to total at 1.95 Mt. INSG cautions that the above forecasts are subject to alterations on account of future market developments. 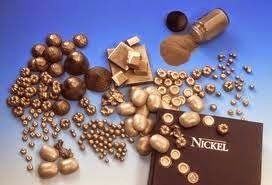 The world primary nickel usage is estimated to increase from 1.78 Mt in 2013 to 1.92 Mt in 2014. The usage is likely to post further growth to reach 1.97 Mt in 2015, added INSG.